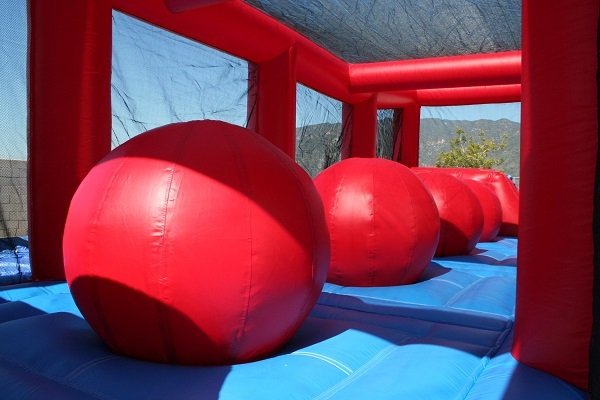 Have you ever wanted to try your skill on the 'wipeout' themed big balls course? With the Big Ball Wiped-Out interactive course you’re going to get your chance. 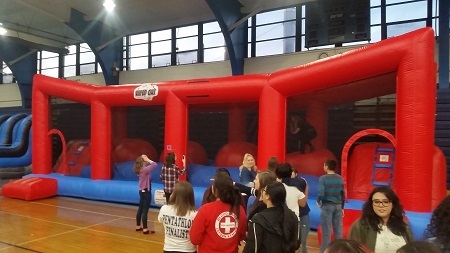 This fun new game features a series of four inflatable red balls which challengers must jump across to reach the other side without falling. Climb up the ladder on one of the side platforms high above the biggest ball pit you've ever seen. Then try to cross the course by jumping or running across those big red balls. Your goal is to hop across all four big balls to the platform on the other side. But don’t worry if you fall off! 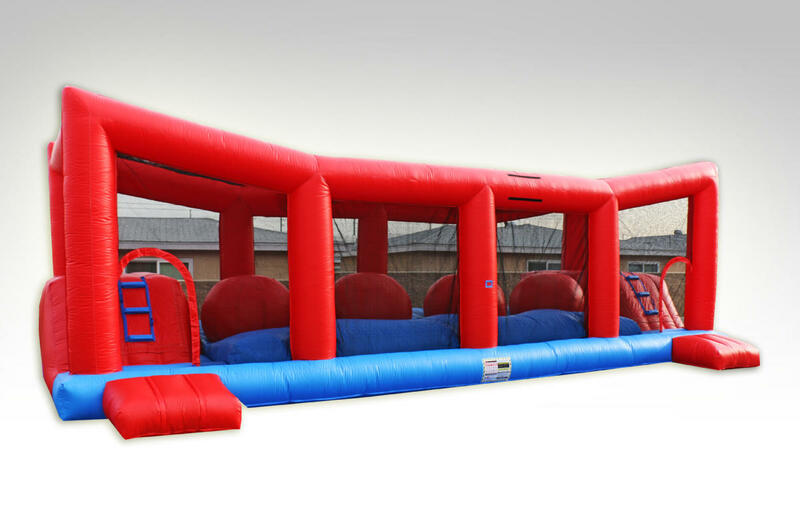 This ball pit is a super-soft jump zone cushioned by our patented Zero-Shock Technology. So challenge all your friends to the Wiped Out Challenge!!! Check out a video of the Wipe Out in action! Outlets: 2 Standard 110 volt GFCI outlets (24 amps total) within 100 feet of the unit. Generator Rentals are available.